Well today we have our first disappointment in my eyes. But such is the whim of the randomness of beer chosen by someone else. They can’t all be winners and while this beer is certainly better than any offering from AB-InBev it’s a little lack-lustre compared to the majority of the craft beer scene. This beer comes from Rhode Island brewers called Coastal Extreme Brewing Company. 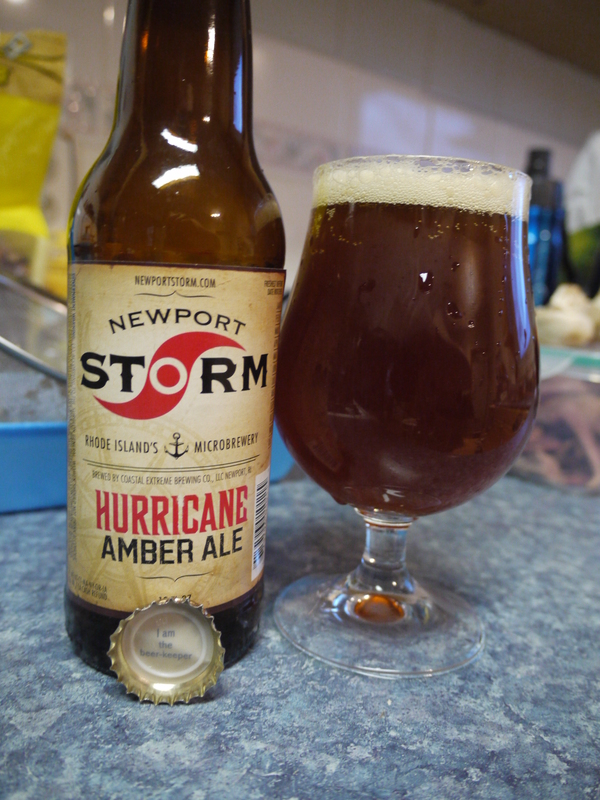 Newport Storm Hurricane Amber Ale is slightly sweet, slightly cereal like and a tad watery. It is OK at best. Tomorrow had better be awesome. Cheers!